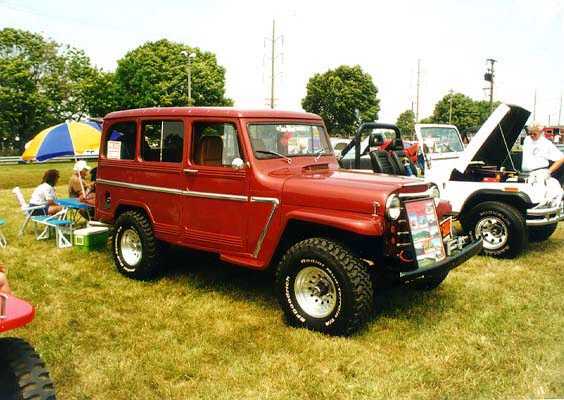 This photo was taken by Frank Sanborn at the 1998 Toledo Jeep Show. Does anyone recognize this beautiful Wagon? I believe the five bar grill was available from 1950 to 1953, but the one piece winshield wasn't available until 1960. I'm not sure when that "7" chrome trim on the side became available, but I've seen it on a picture of a 1961.